From Gothic and alternative artist Anne Stokes. Featuring her Spell Weave artwork, on display with unparalleled clarity. 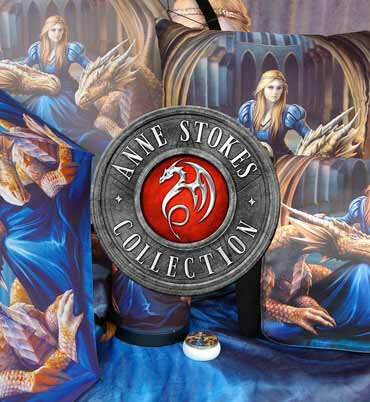 Have your favourite Anne Stokes artwork on display with unparalleled clarity, exclusively through Nemesis Now! Sat in a secluded forest, surrounds by trees encroaching the sky space, a young Fairy sits. Her wings spread out and are reminiscent of those of a butterfly, transforming from pink to purple to blue. Her hands conjure a spell which manifests into a pentagram between her hands. This Crystal Clear picture adds a never-before-seen richness and depth to her already vivid art.